To celebrate its first birthday, WhatsApp Business has added some handy features to its desktop and web services. The WhatsApp Business features now available, via fresh web and desktop designs, have been confirmed. Published in an official blog post, the changes are hoped to speed up day-to-day business and improve customer service. Quick Replies, Labels and Chat List Filtering are the latest additions. The news comes after a hugely successful first year for the business app. In fact, the communication giant says more than five million businesses now use the app. So, how successful has WhatsApp Business’s first year been? Basically, it’s been very successful! Millions of companies from all over have signed up. Not bad for 12 months’ work! 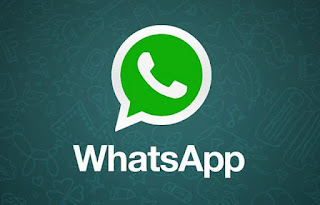 “In January of last year we launched the WhatsApp Business app,” said a WhatsApp spokesperson. “Now there are more than five million businesses using it to support customers, grow their businesses and serve their communities all over the world. We’re excited that we’ve helped millions of businesses grow. Which WhatsApp Business features are now available on web and desktop? Chat List Filtering – This feature allows businesses to use filters which can sort their messages. For example, correspondence can be separated into different lists including ‘unread’, ‘groups’ or ‘broadcast’. It’s great for easily managing your chats! Labels – You can organise your chats or contacts with labels. This means you can easily find them again; saving time and boosting productivity. Quick Replies – Another great timesaver here. It allows you to answer questions and messages you often receive on a regular basis. Just by tapping the ‘/’ key on your keyboard you can then choose a quick reply and send. Just how significant are these additions? The WhatsApp team say they’re excited about the additions. It is hoped that the features will save time for millions of businesses worldwide. “Using these features on a computer helps businesses save time and get back to their customers quickly,” added the spokesperson.